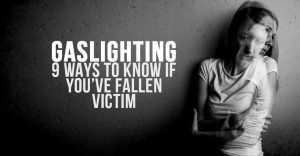 This article is the third one I’ve written regarding gaslighting. I discovered the whole concept of gaslighting completely by accident. While at a library I noticed a book that had the word gaslighting in the title. I was waiting to pick up one of my daughters from an event and was not in a big hurry for once. The titled held my eyes so I picked up the book and skimmed through it. One of the first sections of the book was referencing what is gaslighting in relationships. I then sat down and read the first few chapters. By the time I read the first several chapters I was completely fascinated. The concept was entirely new to me and it simply blew me away. I decided to check the book out and take it home to read. It opened my eyes to what is gaslighting in relationships. In this article I’m going to expand upon what I’ve previously written. So buckle up and get ready for a good read. I’ve talked about the origin of gaslighting previously but it’s worth mentioning again. It’s good to know how things start. I promise I’ll be brief. The term “gaslighting” was first introduced in the 1944 film “Gaslight” starring Ingrid Bergman and Charles Boyer. In the movie Charles Boyer and Ingrid Bergman have a whirlwind romance and wind up getting married inside of 2 weeks. After they get married Charles moves Ingrid far away from her friends and family to Ingrid’s deceased aunt’s house. Once at the house Charles begins to manipulate the surroundings and succeeds in having Ingrid feel she is slowly going crazy. What you find out later is that Charles murdered Ingrid’s aunt years ago. He then romances, marries, and moves Ingrid into her aunt’s old house to try to push her towards insanity so he can take over power of attorney. What he is after is her aunt’s jewelry which he was unable to get after he killed her. He does things to Ingrid such as moving paintings and furniture and hiding things, all the while saying it’s her mind that’s playing tricks on her. The dimming of the lights powered by gas (get it, gaslight?) are caused when he turns on lights in the attic to look for the jewels. And there you have it, now you know how the term gaslighting began. Now we can move forward to discuss what is gaslighting in relationships. Yikes. How’s that grab you? Here’s the link to the article. And this opens the door a little more as to what is gaslighting in relationships. There’s not one single label you can slap on someone who is a gaslighter. The first thing that springs to peoples minds are that it is usually someone with a narcissistic personality who gaslights. And it is true that quite a few people who gaslight could also be labeled as narcissistic. The truth is there are a variety of personality traits can lend themselves to someone being a gaslighter. 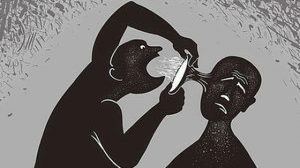 What seems to be a common thread among people who gaslight is the need to control others. They do this through a variety of methods. Lying and exaggerating are common with people who gaslight. They are also pretty bad at receiving criticism. They have thin skin and typically instantly react when being called on their bad behavior. Their ego’s don’t like being challenged. When confronted a gaslighter will almost always double down on their attempts at lying and manipulation. When a gaslighter is challenged they typically either go in a “fight” mode where they throw a temper tantrum or shift the blame around or take you down another path or “flight” where they literally walk away from the confrontation or dissolve into stony silence. So as you might imagine there is not easy answer to the question why do people gaslight. What you can count on the vast majority of the time is that there is usually a power dynamic involved. As in someone wants more power over another person or persons. 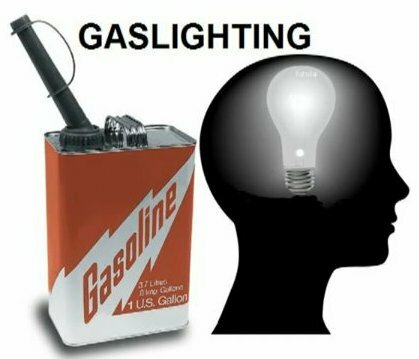 Listening to the news there are numerous examples cited regarding how President Trump is gaslighting the public. My personal favorite is the obvious lying about the size of the crowd at his inauguration. This power dynamic is consistent in personal relationships as well. 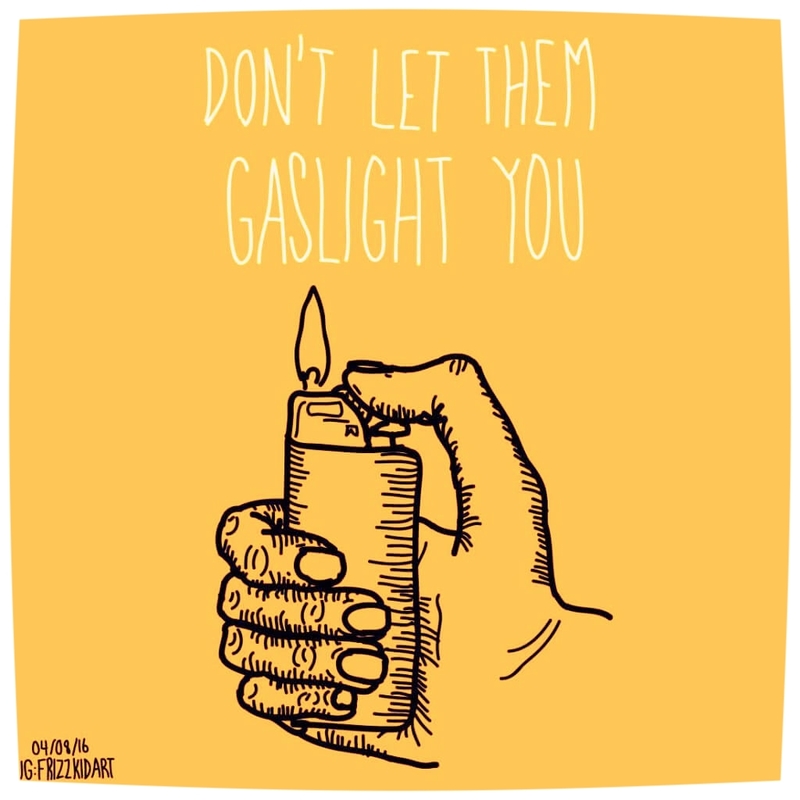 Another thing to keep in mind when considering what is gaslighting in relationships is the gaslighter/manipulator isn’t always aware they are doing it. That is it’s not always done with a malicious intent. It’s not always a conscious choice (although many times it is). It could be due to the way someone was raised and more of a defense mechanism. 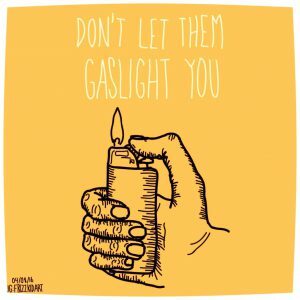 The main thing to keep in mind is that someone who gaslights is someone who needs to feel in control, to own the power, for one reason or another. Here are some signs for you to look for when you might be wondering what is gaslighting in relationships. 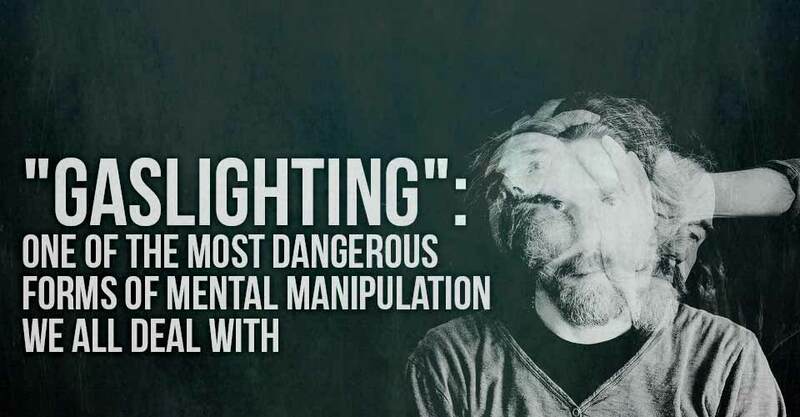 If you are noticing one or more of the following in a close relationship (spouse, significant other, parent, boss or work associate, friend) take a long look to see if it might be gaslighting. You find yourself apologizing all the time, even when it’s not your fault or you don’t have reason to. You have an ongoing feeling something isn’t quite right but you can’t put your finger on it. Every argument or confrontation you have winds up going down a completely different path than it started (diverting). When you are in a confrontation every situation winds up coming around to what you did. You find yourself worrying excessively about a character flaw you’ve been told you have. A very common one is “you’re too sensitive” and beware of “nobody else thinks like that”. You consistently second guess yourself and your decisions. You wonder if you’ve done the right thing in the eyes of the gaslighter…..a lot. You’ve begun to think you are having memory problems and wondering why you don’t remember something you’ve been told happened. You find yourself constantly on edge and stressed out and aren’t really sure why. Once upon a time you were a self-confident person and now you aren’t. You wonder where the old you went. Feeling isolated and alone has become the norm for you. Defending yourself against ridiculous accusations is something that happens a lot. “You are trying to make me look stupid in front of others”. “Why are you always trying to make me fall off my diet?”. You’ve begun to feel that you actually are needy or selfish or sensitive and the many other things you’re told you are. This despite the lack of evidence to any of it. Diversion – Have you ever been with someone that when you are trying to talk to them about something meaningful or arguing they keep changing topics? That’s diversion. The reason gaslighters do it is because they don’t want to take responsibility for their actions. This happens A LOT when you are calling them on something. They keep changing the topic until your head is spinning and you’ve wandered completely off track. That’s diversion, a classic gaslight maneuver. Triangulation – This is a way that the gaslighter makes you think other people feel like they do. Let’s say your wife is always telling you that you flirt with other women, even if you don’t. In a triangulation situation she would say something like “Our neighbor Mary told me that you said something inappropriate to her”, even though she didn’t. And if you ask your wife what Mary said that you said of course she will say “well, Mary didn’t tell me that”. All of a sudden you are wondering what you said to Mary. Projection – When someone takes their own thoughts, feelings, and actions and pushes them onto you, that’s projection. For example, let’s say a husband is constantly telling his wife he thinks she is cheating. He points out all kinds of behavior and actions that he says are signs of cheating even though there’s no real basis for it. If he is projecting he could be the one that is cheating but is accusing his wife of it to throw her off the trail and keep her off balance. Shaming – This could also be thought of as invalidating your feelings. If you bring up something that is bothering you more than once you might get called “sensitive”. You might also hear something along the lines of “nobody else sees it that way”. Or even something like “why do you keep bringing this up? Nobody cares about stuff like this”. It’s a way of making you think that whatever it is that bothers you is insignificant and the way you feel isn’t valid. Shaming, not a fun one. 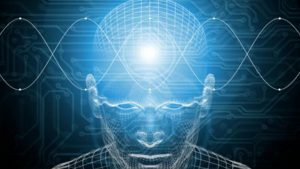 Blame Shifting – Blame shifting is another way for the gaslighter to take the focus off of themselves. What happens here is when they take something that you’ve accused them of doing and turn it around to make it your fault. They wouldn’t have yelled at you in front of your company if you hadn’t had that 2nd glass of wine. You’ve been drinking more and more lately, have you considered that it might be a problem? I mean, look, we are fighting because of your drinking? See how this goes? All of a sudden it’s your fault they did something and by the way, you’ve got a problem. Focus off them and on to you. Mission accomplished. 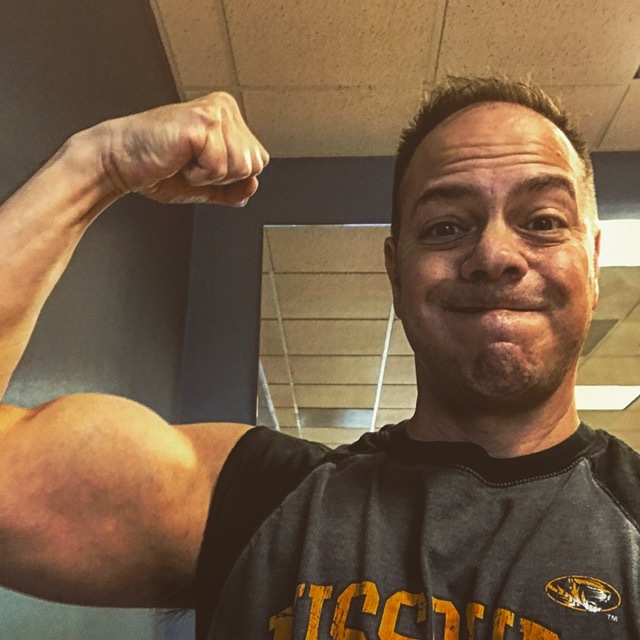 Smear campaign – My personal favorite and I don’t mean that in a good way. The smear campaign happens when the gaslighter says things about you that aren’t true in an effort to make others think badly of you. Hey guess what? You’re a controlling husband because you asked your wife where she was at 9PM on a Wednesday when she wasn’t home. And then she tells her mother and 3 best friends how controlling you are. Don’t look now, you’re a bad mother because you weren’t home one night to put your kids to bed. And now his 3 good friends and his mother is going to hear about what a bad mom you are. And he might suggest a few other things to prod people into thinking you aren’t a good mom. This is a way to get people on their side by spreading lies about you. Fun stuff right? Some people think gaslighting primarily happens to people who don’t have as much self-confidence or are heavily reliant on another person. This is not really true. Anyone who is empathetic and compassionate about others are open to being gaslighted. The reason being is they are willing to believe other people. They are also willing to try to understand someone’s point of view. And when they are open to listening to someone’s else’s opinion and actually caring about that opinion, they can fall prey to gaslighting. This is what can make gaslighting in a close relationship such as a spouse, long term partner, or parent especially brutal. The person who is having the gaslighting done to them wants to believe someone who they are close to. Why would someone who should have your best interests at heart take advantage of you? Why would they lie to you or make you think something that isn’t true? What would be their reason for making you think other people don’t like you? Is there a reason why they are leading you to believing things that aren’t true? For this very reason you can see why a lot of people don’t think gaslighters are capable of empathy. You wonder how someone who says they care deeply for another person would manipulate them to the point of feeling crazy. Awareness – Such as it is with many problems or issues in life the first step is awareness of the situation. Hopefully this article helped shed some light on what is gaslighting in relationships. If you have a hunch that someone might be gaslighting you, do your research and see if they are. It loses it’s power – the cool thing about becoming aware of a gaslighters tactics is all of a sudden it loses it’s power. It’s like all of a sudden you go “AHA” and everything you’ve been confused about makes sense. Your self-confidence comes flooding back and you feel like you’re in control of your life again. Trust your gut – once you become aware of gaslighting in a relationship trust your gut when the person tells you something that doesn’t seem right. When they say something like “last Tuesday I told you I have a guys night out this weekend” and you know for a fact they didn’t, don’t doubt yourself. If your memory doesn’t match to what they are saying, there’s probably a reason. And it isn’t you. Stand your ground – Since a gaslighter will divert and project and twist things around to be your fault now you need to stand your ground. When they try to switch topics, don’t let them. When they tell you something happened and you know it didn’t, call them on their BS. If they say you agreed to something you know you didn’t tell them to zip it. Leave if needed – The advice most of the time is to leave the relationship with a gaslighter. I would say most of the time this makes sense but sometimes it doesn’t. If it’s your boss and it doesn’t really affect your world too much then as long as you can manage it you’ll be fine. However, if it’s your spouse and he or she continues to try to manipulate you despite the fact you stand your ground you might need to leave. In any case you need to evaluate the situation and decide for yourself if it’s worth staying. Keep in mind that the gaslighter has emotionally manipulated you for their own benefit. Hopefully now you know more than you did about what is gaslighting in relationships. Gaslighting is a series of emotionally manipulative ways someone tries to gain power over another person. Many times it is done consciously but it’s also very possible the gaslighter doesn’t really make a true plan to manipulate someone else. It’s done on an unconscious level as well. No matter how you look at it gaslighting is bad news. If you discover you are in a relationship of any kind with someone who is gaslighting you take stock of the situation. 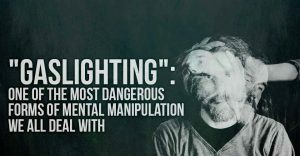 Become aware of the ways they are gaslighting you and stand firm to your own beliefs when they attempt to manipulate you. Realize that leaving the relationship is a very likely possibility. Wow such great quality content very informative info. I have never heard the term “gaslighting” before, definitely sparked my interest to hear more. In the past I was was in a controlling relationship so this article definitely shed some light on all the things I was going through. Again thanks for the great post! Thanks for stopping by, glad you enjoyed the article. Have a great one! I certainly do know the term Gaslighting as i found myself in a relationship many years ago that mirrored all that I found out and you have highlighted. I dreaded an argument because the focus always became about me and the original reason for the arguments became lost. There was more than this as well, but for me I realized quickly what was going on and I ended it. Thanks for the note and thoughts. Gaslighting is one of those things I had no clue it existed until I read about it. After that I was amazed every time I saw it in action.